Located in the Meatpacking District, and home of the Oreo cookie. The old factory building of the National Biscuit Company now houses Chelsea Market - the “ultimate indoor food paradise”. Although I think that that is somewhat of an overstatement Chelsea Market certainly is a great place to eat and shop. It houses all kinds of stores and small restaurants and in the back is the Artists & Fleas - where old bazaar meets new world chic. Anthropologie is at the front entrance of Chelsea Market. That is my absolute favourite go to store. A must on each and every of my Newyorkcitytrips. 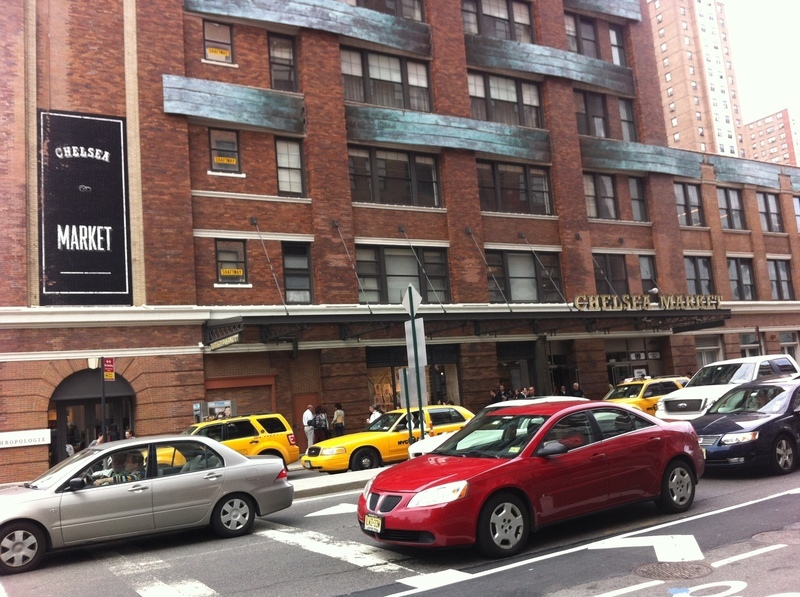 Chelsea Market is located on 75 9th Avenue (between 15th and16th street), NY 10011. Opening hours are 07:00 am – 9 pm on Monday through Saturday and 8 am – 8 pm on Sunday. Not all shops have the same openinghours but if you get here between 10 and 8 you should be ok. 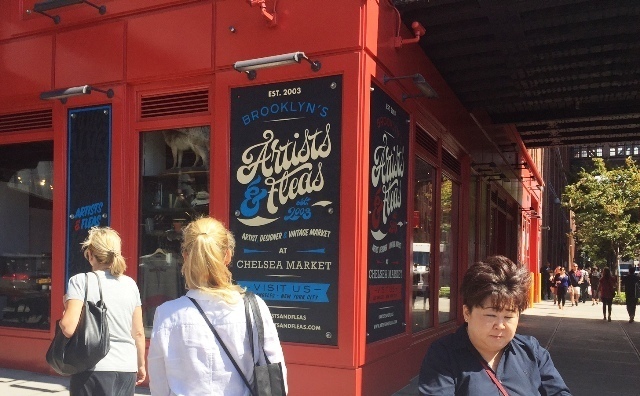 Check Chelsea Market for specific hours and details. There's lots to see and do in the area. Some of our favorites are the Whitney, the Highline and Chelsea Piers. Are you going on a New York City trip and are you wondering what to go see and do? We can make a tailor-made itinerary for you. Contact us at info@newyorkcitytrippers.com. Eataly NYC downtown. Dine in the Oculus with an amazing view on the 09/11 memorial. Bushwick Brooklyn. Once a bad neighborhood and now an area full of hip hotspots. A great place to grab a beer and have a chat with one of the locals. The Park NYC. Eat inside this urban oasis in Chelsea with actual trees and birds. A fancy hotel, a long red curtain and a long line of people. Waiting for the Best Burger in NYC. “Hey Ryan, can we please get the check and a doggy bag for our leftover lunch? What a great place for a drink and a bite to eat. Laid back, easygoing & causal cool. Please do let me know if you think there is a bar with a better view on Manhattan.